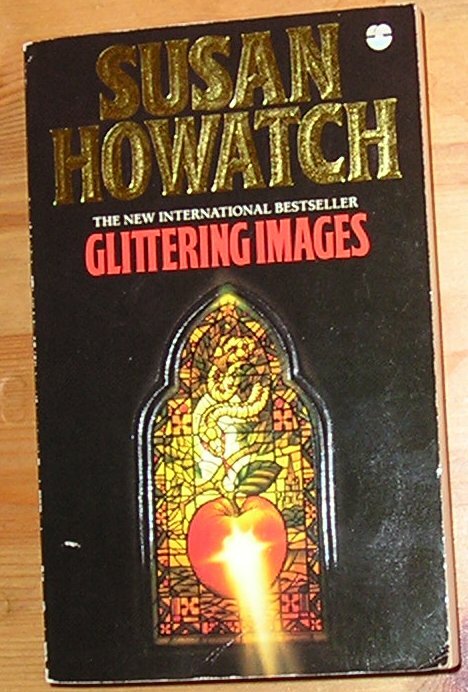 This was the first Susan Howatch novel I read, and I was completely hooked! She is a fantastic writer. This novel is the first of the Starbridge novels (there's six in total, see below) set in an ecclesiastical town based largely on Salisbury. The novels are based around clergy and the church of england, spirituality & christianity, but don't let that put you off...it's a fanastic read, see the next journal for a brilliant amazon review of the book. After writing 5 highly successful family sagas Susan Howatch had a spiritual experience which converted her to Christianity. She then embarked on the series of six novels which were later to be known as the Starbridge books; she had lived herself for some time in the Cathedral Close at Salisbury, and her fictional town Starbridge is actually Salisbury. Just as her family sagas were written in a multi-person first-person narrator format, so was the Starbridge series, but this time each narrator gets a whole book instead of only a section of one! Glittering Images is the first book in the series. I had already read al five of the family sagas before I had the courage to start on Starbridge; I saw had the courage because I was sure that a whole series of books set in the Church of England could not help but be stuffy and priggish. But this of course is Susan Howatch, a master storyteller. And these books are considered by many to be an enormous step forward. I found the depth of character found in all the Starbridge even more impressive than in the sagas. She shows not only an extraordinarily deep understanding of the human condition, she also shows great compassion and warmth for all her characters so that even if they have weaknesses and make mistakes, we can nevertheless forgive and love them. In the first trilogy of books. Set in the 1930's and 1940's, each of the three narrators is stripped down and turned inside out, so that the reader knows all there is to know about them. In this first book we first meet Charles Ashworth, who will be a major player in the series. Charles has conservative leanings and a Middle Way churchmanship. As ever, Howatch succeeds in giving us an in-depth portrait of a very likeable and sincere man, and sets him in the middle of a story that simply pulls you through, unravelling secret after secret. A wonderful book, which made me immediately want to start on the next one in the series... Glamorous Powers! Sending this as a RABCK to q-cow, since I had no takers for the bookring! I really enjoyed this book. Don't think I'm hooked enough to read the rest of the series.